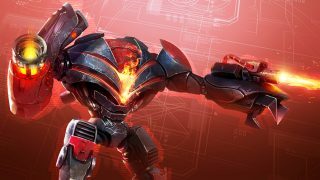 This week, we introduce the MG Squad, a highly defensive GDI unit, and Nod’s Avatar, capable of destroying units after death. Read on for tips, tricks and counters to master these new units. The ultimate expression of Nod’s power, the Avatar Warmech is designed to counter the heaviest units in GDI’s arsenal. Equipped with both an Obelisk-Class laser cannon and a powerful flamethrower, the Avatar can dispatch enemy ground units with ease. Use the Avatar’s move speed and ability to fire on the move stay ahead of enemy threats. However, when near death, send the Avatar at the largest concentration of enemy units you can find. The Avatar explodes when destroyed, damaging any adjacent units. Strong against ground vehicles, send in anti-vehicle air or infantry units to deal with the Avatar. Be careful using slow units like the Kodiak. When the Avatar dies it explodes, damaging any nearby units. Slow units may get caught in the explosion, taking severe damage or even total destruction. The GDI Machine Gun Squad is a man-portable heavy machine gun operated by a crew of three. Although extremely slow and unable to attack on the move, they have great firepower and durability when deployed, making them ideal for harvester defense and occupying strategic locations. 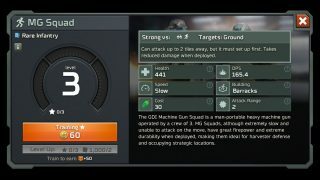 MG Squads are ideal for protecting harvesters and defending strategic locations. Use them in pairs to provide bounding overwatch as you move forward. It takes time to set up before the MG Squad is ready to attack, so plan ahead to make the most of this unit. After deployment, it takes reduced damage from enemies, allowing it to hold a platform until reinforcements arrive. 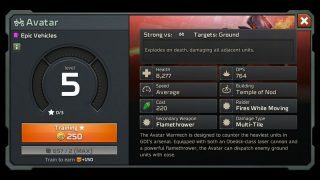 MG Squad is weak against air, so send in anti-infantry air units to quickly destroy them. If sending infantry or ground vehicles against the MG Squad, use fast units that can quickly close the gap or tanky units that can absorb damage while approaching. 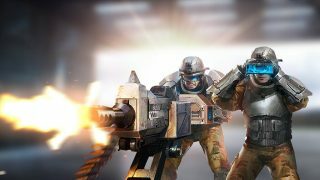 MG Squad is most vulnerable when moving, so try to prevent to destroy them before they are able to set up. We Want Your Feedback: We’ll be aggressively tweaking and tuning all units, and this is a great chance to have a real impact on the game! 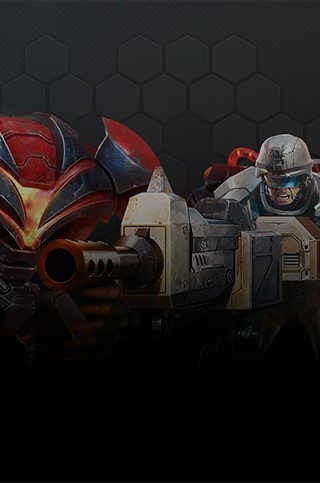 Tell us what you think of the new units on Twitter and Discord.